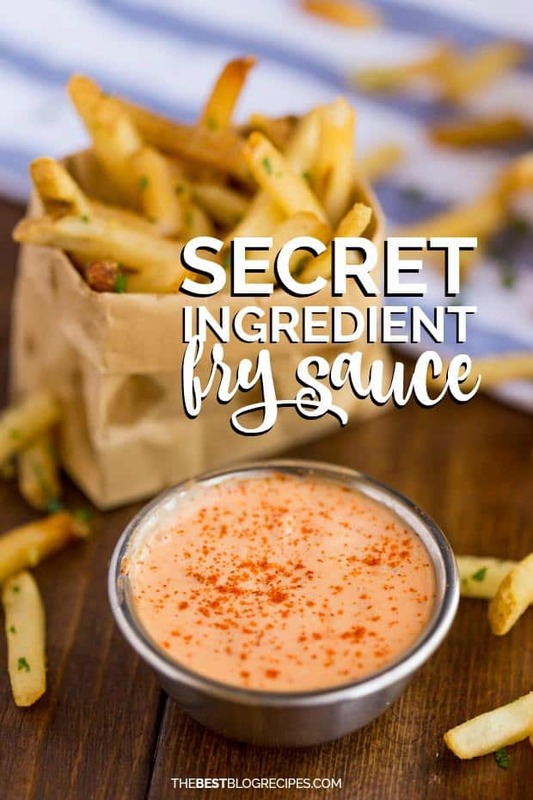 This easy, homemade Secret Ingredient Fry Sauce recipe is the best dipping sauce you’ll ever make — it’s so simple and it’s got a secret ingredient that makes it delicious! You guys: I love a good burger and fries. It’s actually one of my favorite meals and something that I crave. Often. And to make it even better, I’m going to be sharing the best fry sauce recipe with you today. It will take one of your favorites up to another level that is even more delicious than you could imagine! So I’m pretty sure that Fry Sauce is a West Coast thing? 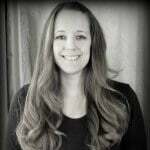 That’s why you might not have heard about it until now. It wasn’t until I moved to Utah that I started noticing “Fry Sauce” or “Fry Dip” in tons of restaurants when we went out to eat. You can even buy it bottled. Seriously?!? Where has this been my whole life?! It’s basically mayonnaise and ketchup mixed together with a few extra ingredients. I’m going be sharing an extra special secret ingredient with you today. I’m just saying… it’s easy to make so I probably wouldn’t buy it bottled unless it had some serious secret stuff inside the bottle that I couldn’t re-create at home you guys. But since I can re-create, I did! And now you’ll be able to make this homemade fry sauce, too! I’m a dip kind of girl. I eat it on everything! I love my ranch, barbecue, easy fry sauce and tartar sauce the most! My family *might* make fun of me since I eat a little more than I should. I always order extra of whatever sauce when we go out to eat. They always say “you’re never gonna eat that much sauce Shauna” and I always prove them wrong. Always! 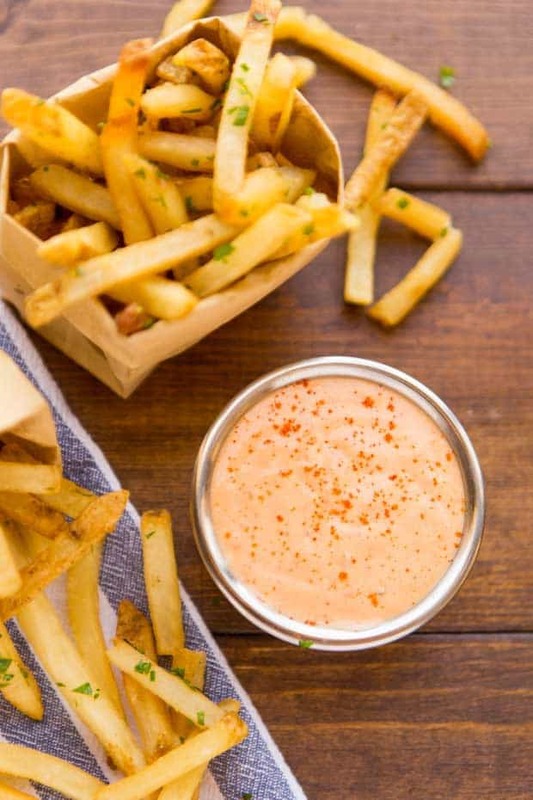 This DIY fry sauce is great on fries obviously… but it’s great on burgers or sandwiches too. For all you fellow dip lovers like me! Traditionally, a French fry sauce recipe consists of two parts of mayonnaise to one part ketchup. It’s crazy simple – just pop your ingredients into a bowl and mix well. Then serve with whatever goodies your mouth desires. My husband says it’s especially amazing on homemade bacon cheeseburgers. I looked at a bunch of different recipes for fry sauce and kind of blended them together and picked out my favorite parts of each of them. I decided to not use vinegar but instead used a few vinegar based things that would enhance the flavor and boy-oh-boy did it. For my fry sauce recipe, we’ll be gathering a handful of ingredients. You’ll need mayonnaise, ketchup, garlic powder, ground red pepper, salt, yellow mustard, dill pickle juice and ground black pepper. 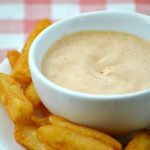 It’s the best fry sauce recipe I’ve ever tried. Perfect for French fries, onion rings, burgers, chicken tenders… really, I could go on. It’s good enough that I would happily drink it. 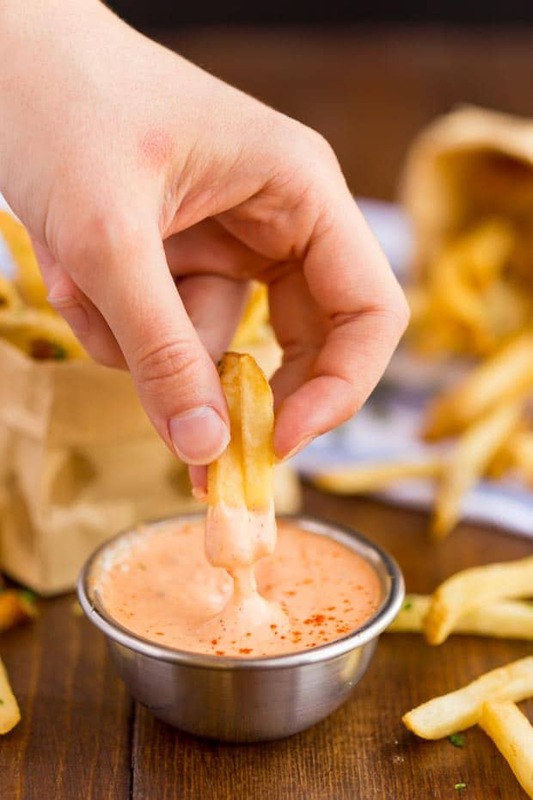 So basically I think anything is improved with this DIY fry sauce on top. Since this fry sauce recipe is mayonnaise based, this recipe only makes 1-2 servings because I prefer it fresh made. You can easily double or triple the recipe if you’re serving more people. I hope you enjoy this fry sauce soon! This Secret Ingredient Fry Sauce recipe uses only a few ingredients to spice it up so it tastes amazing! Don't settle for plain old ketchup and mayo when you can enjoy this dip on your fries and burgers! Put everything in a bowl and stir well. Serve on fries, chicken tenders, burgers, hot dogs, onion rings and anything else that you like to dip in ketchup! Since this is a mayo based sauce we only make enough for 1-2 servings at a time. Double or triple this recipe is making for your family. AS I prefer a more vinegar flavor, I doubled the pickle juice and yellow mustard, added a splash of caper juice. I doubled salt and garlic powder and added 3 smalljigs of Tobasco. Yummy! The salt I used was Sea Salt crystals, so it give it a little crunch texture. Thank you! You added red pepper flakes but didn’t tell how much. How much do you recommend? Sounds like thousand island dressing! I’ve always used try sauce. Growing up in Idaho my favorite fast food place was artic circle. They have the best try sauce. Then when I was 27 I moved to Ontario Canada. Guess what….they use vinger on their fries. When I asked for fry sauce they looked at me like I had four heads. So I’m thankful for all the great fry sauce recipes out there. I have not tried your yet, but I’m going to whip up a batch for hambuger night this week. I’ll come back and let ya know what i think. Thanks for sharing. Oh, it’s so hard when you move and your favorite things aren’t in the new place. I hope you love this recipe! Hi, I think this sauce sounds amazing!! I’m wondering how you made those beautiful fries?? Oh I wish I made those fries from scratch Megan! They are our favorite frozen brand fries — Western Family Seasoned Fries. I’ll have to make some from scratch and see if I can get the flavor close because they are so good! I live in Missouri and haven’t heard of fry sauce until right now. This is such a great idea, Shauna, and I’m looking forward to trying it. Oh I think you’ll really like it 🙂 Can’t wait to hear what you think! I can’t get enough fry sauce! This looks so tasty. I always have to ask for Catsup and Mayo whenever I leave the state. Thanks Meagan! That sounds just like my hubby 😉 Asks for it everywhere we go too! I would have never thought to add pickle juice to fry sauce but I bet it makes it SO much better. I’m not a big fry sauce fan (my boys are) but I LOVE pickles so this will be great for the whole family. Lol! That’s what I thought too… Pickle Juice?!? WEIRD! But it was good so I’ll definitely do it again 🙂 Hope your boys love this! I had to see what the secret ingredients was. Sauce looks great. G’day Shauna Looks delish and thanks for sharing at the Say G’day Party all Pinned! Ummm holy cow, I am excited to try this!! Oh yay Amanda! Hope you love it!